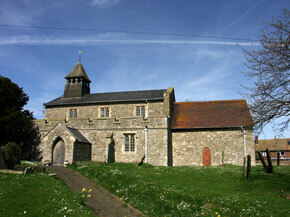 The Parish of Allhallows lies on the northern edge of the Hoo Peninsula in Kent, a focal point over-looking the River Thames estuary. Allhallows-on-Sea is a rural parish that is divided from the Isle of Grain by the Yantlet Creek. The parish is a community of 1,676 residents as recorded on the 2011 Census (1,333 on Medway Council's electoral roll, May'08) and covers 930.42 Hectares. It is a parish within the Peninsula Ward of Medway Council, a unitary local authority within the county of Kent. Allhallows Life magazine, produced by the parish council until Summer 2014, was delivered to all homes in the village: see the magazine archive as held by the Wayback Machine. A re-launch is planned in February 2019.